You may guess from our blog posts that I spend a fair amount of time looking for things on eBay, and you would be correct. One of the most puzzling phenomenon is some sellers belief that rare equals valuable, despite evidence to the contrary. 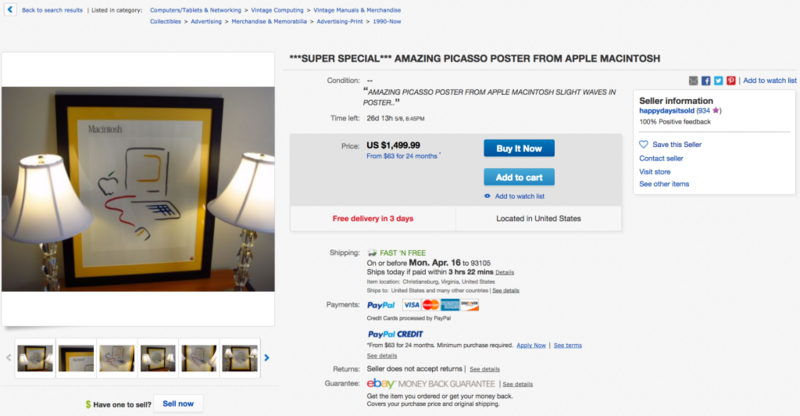 Consider this listing for an Apple Macintosh Picasso poster. This seller has relisted this item continuously for at least 5 years, at a similar price. You think they would have gotten the message by now that no-one wants to pay that much for such a thing. 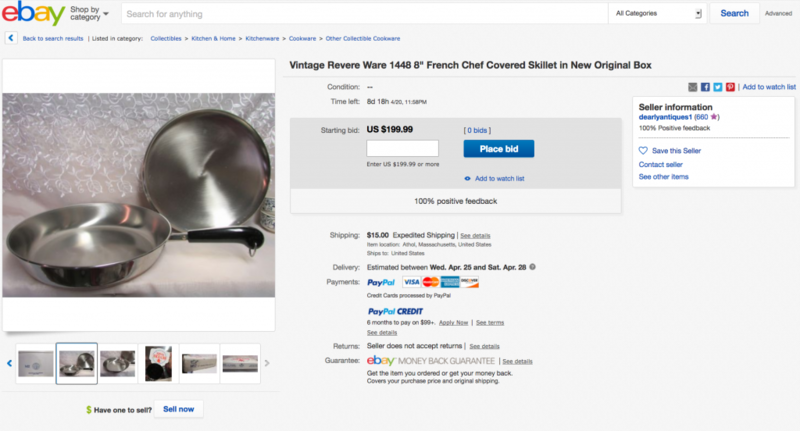 Along those lines comes a listing for a post-vintage era new skillet. As most people familiar with just a little of the Revere Ware product history know, this particular skillet, while new, is far inferior to the ones made prior to 1968. A similar used one can be had for about $35-$40 on eBay, often cheaper, and probably far less at your local thrift store. And here is a brand new similar type sauce pan being offered for only $25. It all points to wishful thinking. I would be shocked if this sold for such a price.